This year, forget all of the latest diet trends and save yourself from the worries of detoxing. 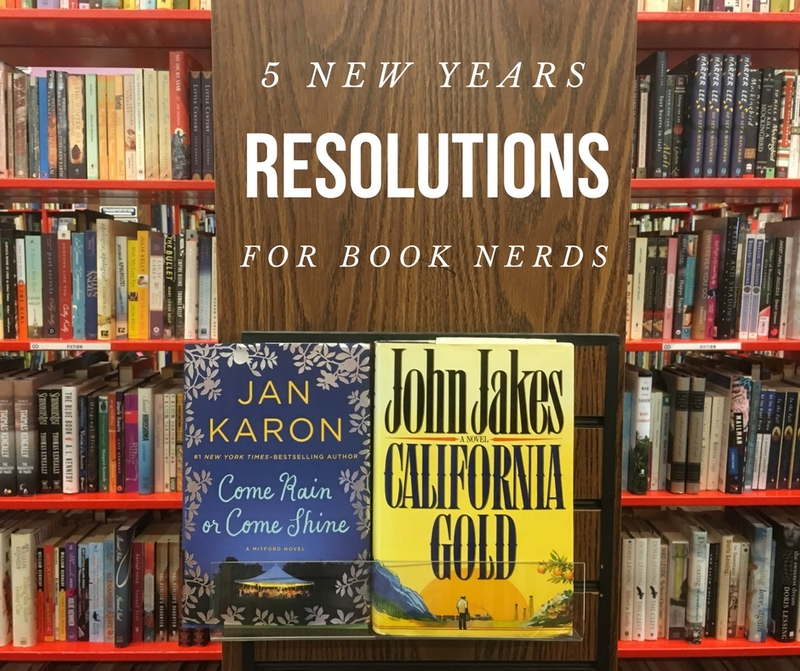 Instead, make resolutions easy on yourself by making book-related goals! Here are some ideas on how to tackle that bookish list of to-dos and resolutions that will make your new year of reading your personal best. Make more time for reading. This is definitely easier said than done. With all of our day to day activities, it is easy to put off that new book you’ve been waiting to try out. Whether you are enjoying a hot bath or are on a treadmill at your favorite gym, incorporate that new book into your routine – even if it’s only a few pages a day. Join a book club. If you’re not already a member of a book club, why not give it a try? It’s a great way to meet new friends with similar interests. There are even internet book clubs if you’re not wanting to leave home (David Bowie’s son just started one in his honor). If a book club interests you, we suggest checking your favorite Bookmans location’s events to see if they are hosting one (hint: Bookmans Tucson has one called the Backroom Book Club). Spend less time on electronic devices. That is, of course, unless you are using an e-reader like a Kindle or Nook. Think about how much time you spend on social media or playing games and you’ll see how you could easily use that time to embark on a literary journey. Set yourself reading goals. Read a book every week, every month, every quarter – it really doesn’t matter. Make a goal that works for YOU. Setting a goal will help keep you on track and propel you to complete the challenge. Try something new! New, in bookish circles, generally means in a new genre outside of your tried and true faves. If you’ve only ever read historical scientific books, why not try science fiction? If you like one particular author’s style of writing, why not try a book that author recommends? You never know what you may discover. Should you be looking for book recommendations, stop into your favorite Bookmans location. We will be happy to introduce you to authors and books to fill your new year with. Happy Reading!